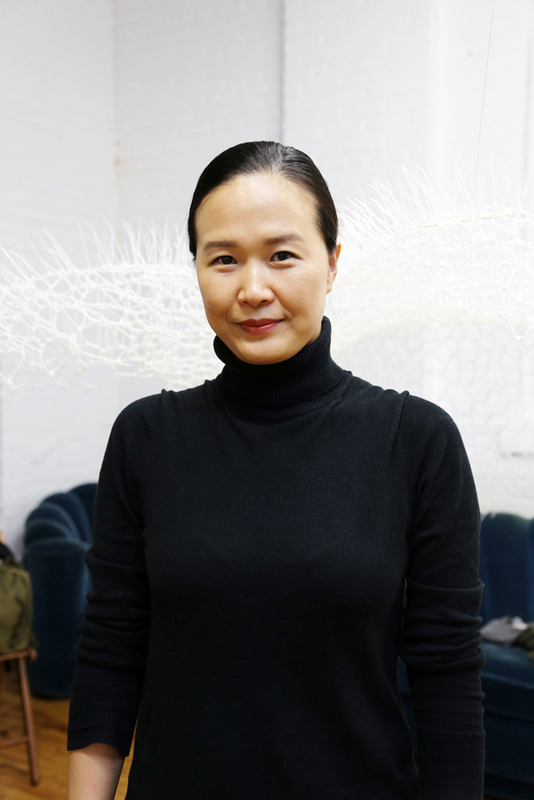 Sui Park, an artist and interior architect based in New York, was born in Seoul, Korea. Park had two solo exhibitions in New York in 2016: Playing with Perception at the Denise Bibro Fine Art Gallery in Chelsea and Garden of Humans at Kingsborough Community College in Brooklyn. More than 70 exhibitions in which she has participated include Dismantle the Core at Elaine L Jacob Gallery, Wayne State University, Detroit, 2017. Her sculpture SuiTable was acquired by Jordan Schnitzer Museum of Art at the University of Oregon in Eugene. Her work has been published in print magazines including the National Basketry Organization Quarterly Review, Niche, and Textile Plus; she has received recognition in the Surface Design Association’s blog and numerous other online publications. Sui Park was awarded an MDes in Interior Architecture at Rhode Island School of Design and a BFA in Environmental Design at Maryland Institute College of Art. 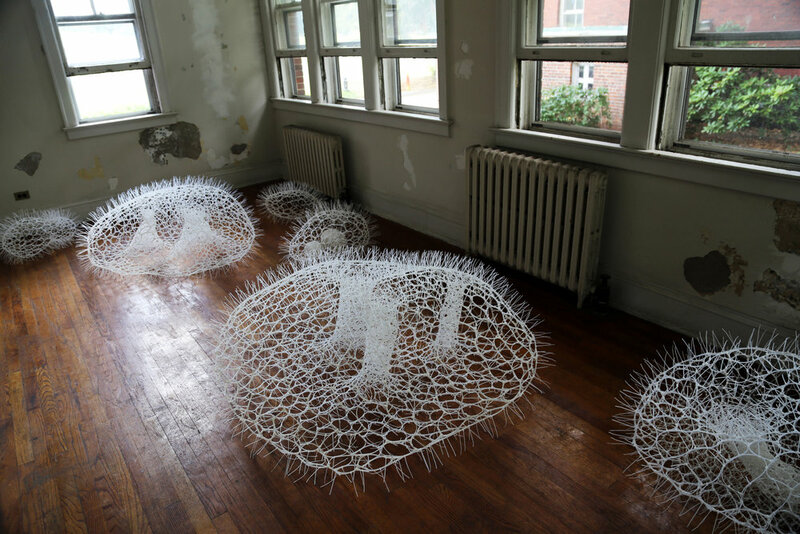 She also earned an MFA and a BFA in Fiber Art at Ewha Womans University in Seoul. The 6pm Pre-Meeting Program: Wrap it, Pack it, Send it. Easy? ... Yes! Three members will share their experiences packaging and shipping fiber artwork. Add to the lively discussion with a contribution of your own shipping do's and don'ts.